We’re just days ahead of spring , and the total number of severe weather reports has already surpassed 1,500. That number may not seem like a lot, but it's nearly ten times the number of severe weather reports registered at this time last year! 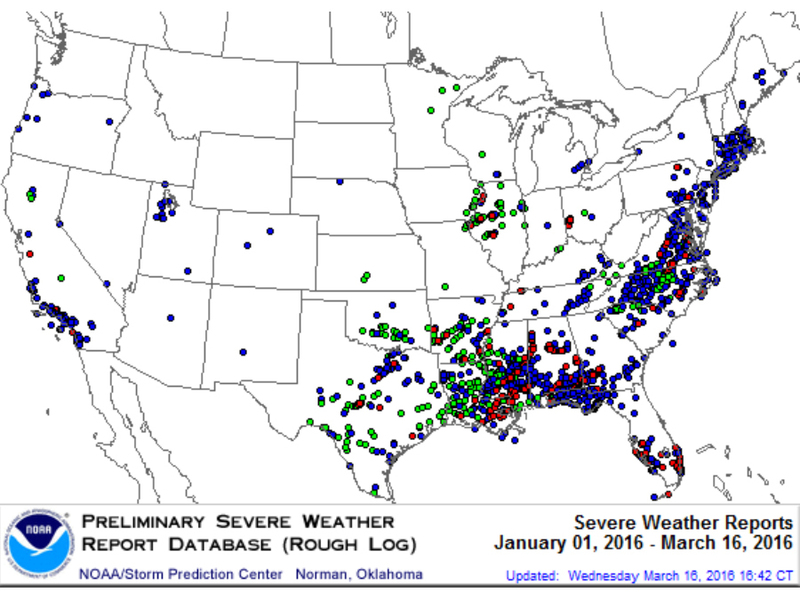 In fact, the last two years — 2014 and 2015 — were relatively quiet years for severe thunderstorms. 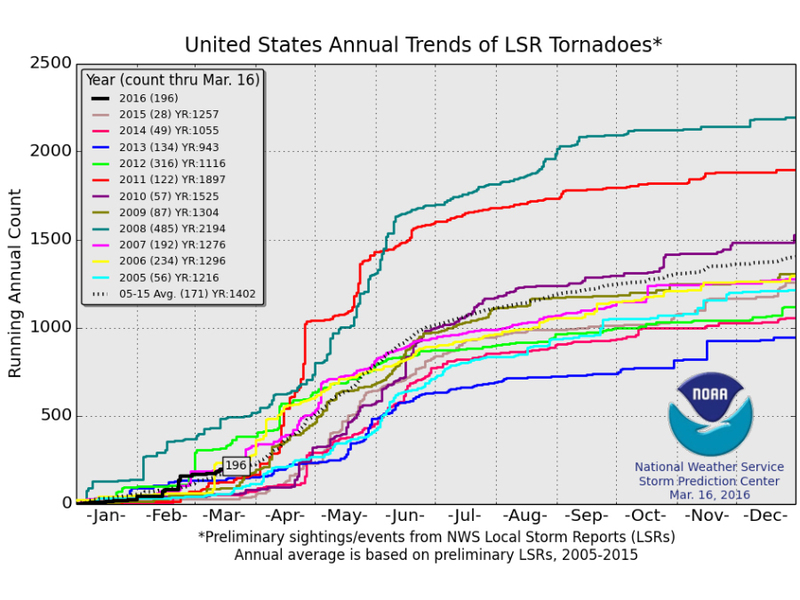 When it comes to tornadoes, this has been a fairly typical year, clocking in at just under 200 tornadoes for the year so far, which is slightly above the average. You’d have to go back to 2011 before finding a year where the tornado count was higher than average. And since it's been a half a decade of relatively quiet weather, even an average year may seem especially violent and dangerous. But, it's still early in the year. In 2013, some active weather days lead to early, widespread severe weather outbreaks, but then numbers fell off later in the year. Whether this year’s pattern will hold or if it'll go quiet like it did in 2013 remains to be seen. And remember, one of three criteria needs to be met in order for a storm to be considered severe.